I made up a word – Supersessibles. Accessible super foods. 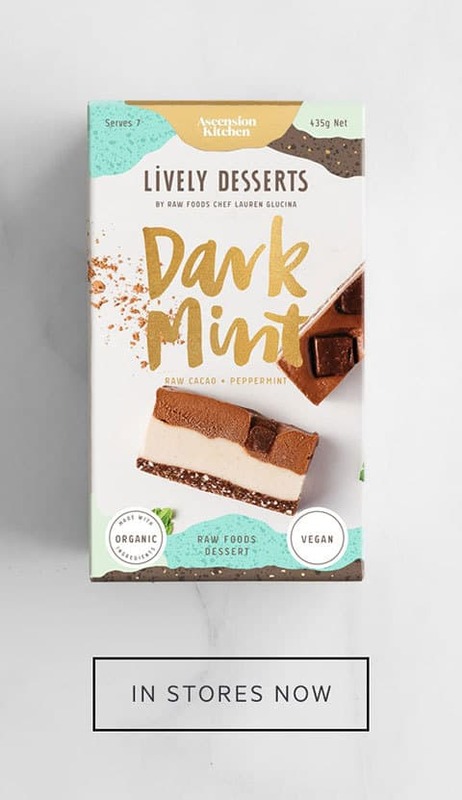 Because whilst all those exotic foods, powders, berries and spices that line the health food store shelves are alluring with their long list of nutritional claims (and to be fair, some of them are actually quite worthwhile taking! ), the hefty price tag makes it something that you’d need to save for special occasions. And good health shouldn’t be a special occasion; it should be accessible, always. So, I do love my super foods every now and then, and they certainly spruce up a smoothie if you’re feeling flat, but there are plenty of everyday unsung heroes in your local supermarket or Farmer’s Market that will do just fine. And, an added benefit – buying local of course means you save on the food miles. One of my favourite Supersessibles are oats. Oats are a fantastic source of your B vitamins; they contain a range of minerals, and are great for cardiovascular health. Green oats are the aerial parts of the plant at its young, immature (and green) stage. It includes the unripe seeds, which when squeezed between thumb and finger; produce a white milk (hence the name, Milky Oats). 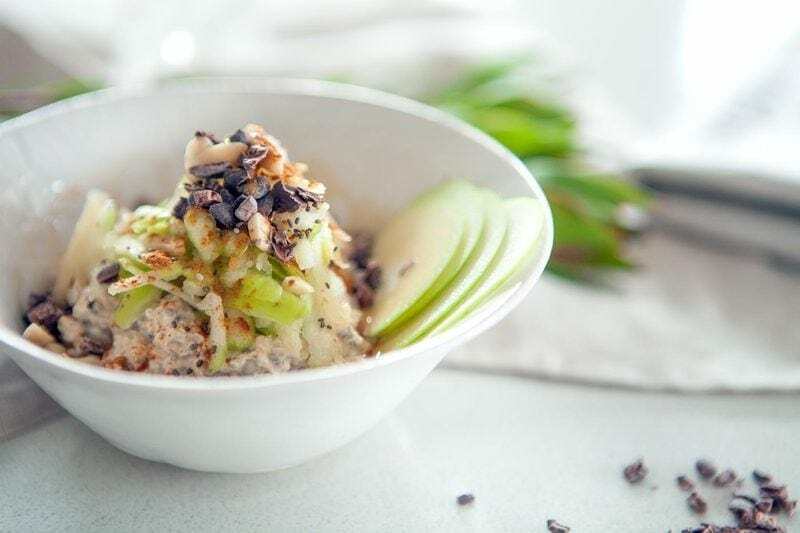 Green oats are used in herbal medicine as a nervine (a tonic that supports and nourishes the nervous system), and for treating anxiety . Mature oats produce seeds – we know it in the form of porridge. Oats seed is also used in herbal medicine, as a nervine and general tonic, and a mood enhancer . Oatstraw is the whole plant, harvested and dried. It makes a beautiful infusion or tea. Wholegrain oats help reduce the risk factors for cardiovascular disease. Daily consumption has been shown to reduce blood pressure in hypertensive patients. One recent randomised controlled trial showed 73% of patients taking oats were able to stop or reduce their medication by half – that’s a fair bit! . 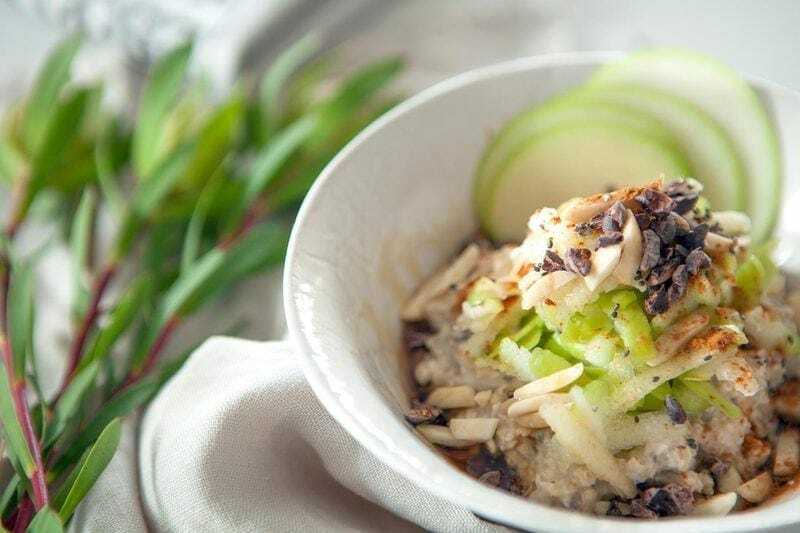 Oats also contain beta-glucan, a soluble fibre that binds to cholesterol in the gastrointestinal tract before being eliminated, reducing the risk for heart disease . Speaking of beta-glucans, these very compounds are also soluble prebiotic fibres. Why is this important? Prebiotic fibres arrive undigested to the large bowel, where beneficial bacteria then break them down as a fuel source. Prebiotics selectively feed the good bacteria whilst remaining unappealing to pathogenic bacteria. Prebiotics are an extremely important part of your diet as they promote the growth and viability of good bacteria. Thanks to the beta-glucan, stomach emptying is delayed. The delay in glucose absorption therefore reduces the glycaemic response . Traditionally, oatstraw was prescribed for nervous debility and exhaustion while oats seed, with a slightly more stimulating effect, was used to support a person through stress and provide a gentle burst of energy . The tonic action it has on the nervous system is likely due to the array of nutrients it offers , notably, manganese, phosphorus, copper, biotin, magnesium, zinc , B-complex, vitamins A, C, E and K, and protein . And this is precisely why I love them so much – the perfect addition to help you through a particularly stressy time! (Read: moi, now, with exams looming on the horizon). Grains contain anti-nutrients called phytates. The current school of thought is that these phytates bind with minerals in the gut and prevent their absorption, and therefore can potentially lead to a deficiency. The way to get around it, is to soak your grains in water, if time permits, overnight, and if not, at least for a few hours. In the process of soaking, the phytic acid is neutralised and minerals are no longer bound or entrapped in the digestive system. 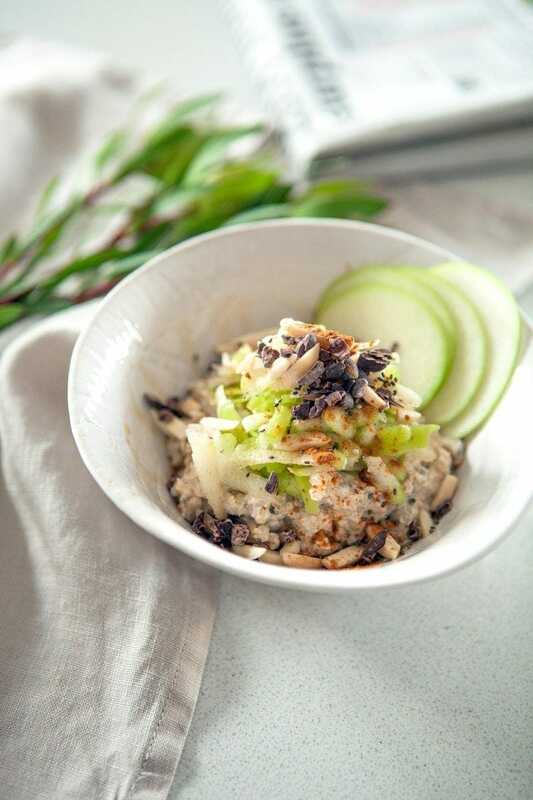 Bircher muesli is a breakfast created in 1900 by a Swiss physician and nutritionist, Maximillian Bircher-Benner. It was part of his therapy for patients in convalescence. 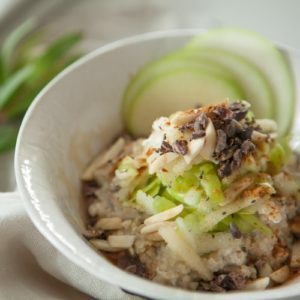 Traditionally, the recipe involved rolled oats, fresh apple, and a variety of nuts and seeds. The mixture was soaked overnight (to improve digestion and absorption) in yoghurt or fruit juice. My recipe is a simple variant that works a treat every time, omitting the yoghurt of course to keep it vegan. This is a single serve though you can multiply the recipe to prepare a large batch to see you through a couple of mornings a week – just store it in an airtight container in the fridge. 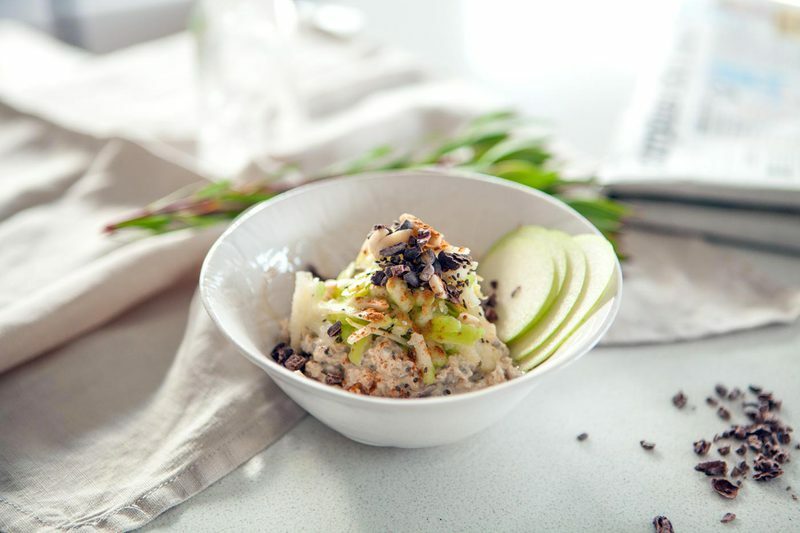 A delicious vegan recipe for the absolute perfect Bircher Muesli. Please note active prep time excludes the overnight soak. Combine the oats, nut milk and seeds in a bowl and leave to soak overnight, or at least for a few hours. 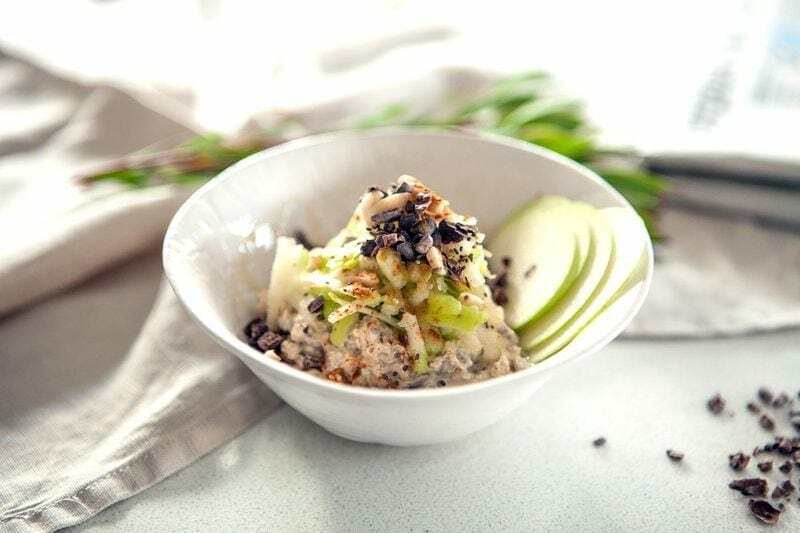 Grate the apple and top with cacao nibs, sweetener of choice, an extra sprinkle of nuts and a little cinnamon. Bone, K. (2003). A clinical guide to blending liquid herbs. Australia: Elsevier. Pins, J.J., Geleva, D., Keenan, J.M., Frazel, C., O’Connor, P.J., & Cherney, L.M. (2002). Do whole-grain oat cereals reduce the need for antihypertensive medications and improve blood pressure control? J Fam Pract, 51(4): 353-9. Braun, L., & Cohen, M. (2015). 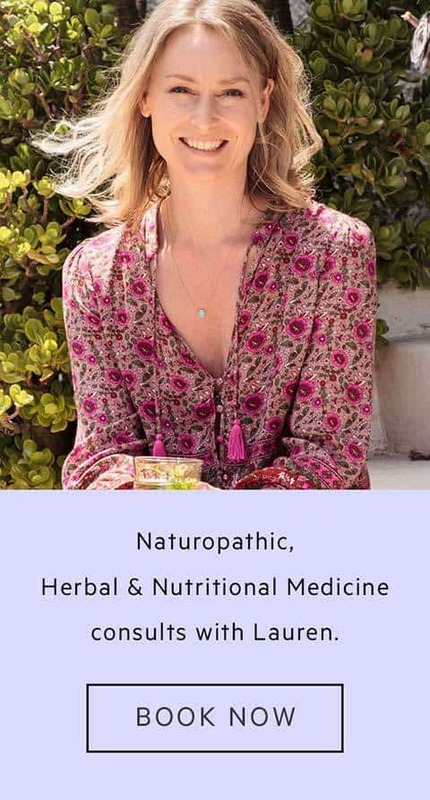 Herbs & Natural Supplements (vol.2). Australia: Elsevier Australia. Mills, S., & Bone, K. (2013). The principles and practices of phytotherapy (2nd ed.). Edinburgh: Churchill Livingstone. The World’s Healthiest Foods. (2001-2015). Oats. Baye, K., Guyot, J.P., & Mouquet-River, C. (2015). The unresolved role of dietary fibers on mineral absorption. Crit Rev Food Sci Nutr. 15:0. Cunningham, S. (2014). Encyclopedia of magical herbs. U.S: Llewellyn Publications.